Search engines have become the primary source for finding information on the web. With this the importance for search engine optimization grew and the data on search engine marketing and buying behavior has proven time and again that organic search results drive significant amounts of qualified traffic to websites, blogs and affiliating markets. If you want to rank on top of Google and other top search engines, you need more than luck – you need to have a well thought out plan inspired by other top position achievers to ensure a place on top of the engine for your company. So let us tell you a simple plan that will benefit you to improve your ranking via SEO. The basics of site optimization start with optimizing the code. The purpose of this is to eliminate potential errors in the source code so that it is easy for search engines to find your web page. Link building is an essential part of SEO. Links allow web crawlers to navigate easily through you webpage. The basic goal of link building is to get other websites to link to yours. So ensure that you have text links that navigate accordingly and that you do not have links that lead nowhere or empty pages. Web crawlers notice given keyword phrases. They must be correctly directed to show which keywords are the most important to us. Search engines require this to know for which keyword phrase a given subpage should be displayed. These phrases have to be included in text and <title> tags of chosen pages. For consistent SEO, we need to improve the site structure. Ensure that the tag <title>>, found in the <head> section of every website, should reflect the theme of a given website. The website title should not be empty or very long or same on every subpage or include phrases not connected to page content. Web crawlers download websites in text form, which is why experts believe that the text is the base of correct SEO. While creating web page, plan ahead where to put static text which is accessible to search engines. Include on your website texts valuable for the users and not prepared just for search engines. Last but not least, we need to keep track of the SEO progress. This can be done using the tool Google analytics. It helps you to learn more about your web page visitors and monitor the organic search traffic sources to see what keyword people are using to find you website in search results. By setting up goals, you can see which keywords lead to visits where visitors do what you want them to do on your website such as sign up for a mailing list or purchase a product. This will help you learn what keywords you should be targeting with your SEO campaign. 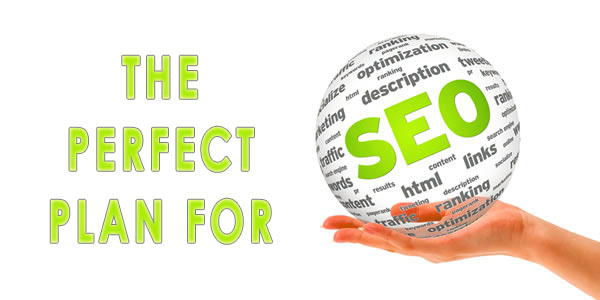 And there you have it, a perfect yet simple plan for gaining utmost success in SEO.